Taipei, April 21 (CNA) Taiwan's coast guard will continue to safeguard the rights of Taiwanese vessels in waters near the disputed Diaoyutai Islands, an official said recently after the country sealed a fishing pact with Japan. 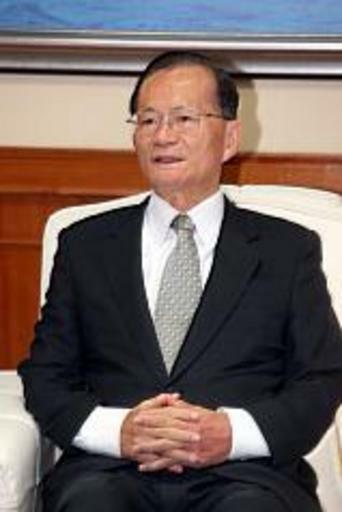 "We believe that the coast guard should operate wherever the fishing boats are," Coast Guard Administration Minister Wang Jinn-wang told CNA in an interview. Wang said the coast guard will continue to carry out its responsibilities to ensure the country's fishing rights in the area, stressing that the islands are part of the Republic of China's territory. He added that the administration will remain on its course to obtain a total of 37 patrol boats by 2019, with two of them having 3,000 tons displacement, to safeguard the Taiwanese fishermen operating in the area. Under the agreement reached with Japan on April 10, Taiwanese and Japanese boats can operate freely in a 74,300-square-kilometer area around the Diaoyutais. While the two sides agreed that the pact was focused on the two sides' respective fishing rights, they also said the agreement will not undermine each other's territorial claims over the islands. The Diaoyutais, located some 100 nautical miles northeast of Taiwan, have been under Japan's administrative control since 1972 but are also claimed by Taiwan and China. The surrounding waters have been traditional fishing grounds for Taiwanese fishermen, but they have routinely been chased away from the area by the Japanese authorities when they venture too close to what Japan sees as its territorial waters.